For months, the financial markets have been focused on the question of when the Federal Reserve will begin to scale back its massive bond buying program. On Wednesday, comments from Fed Chief Bernanke and the Fed Minutes (the details of their internal meeting that gets published) caused investors to think that the tapering may begin sooner than expected. The acknowledgment that Fed officials believe that economic growth actually could pick up quickly enough to justify a reduction in monetary stimulus was encouraging, but it was bad news for mortgage rates. The rate sheet reflects rates that have not been up to this level since around the same time last year, ironically enough. One of the primary goals of the Fed’s bond buying program is to to keep mortgage rates low to stimulate the housing market and boost the economy. To this end, the Fed currently purchases the vast majority of newly issued mortgage-backed securities (MBS) each month. Since mortgage rates are mostly determined by MBS prices, this enormous demand from the Fed has helped mortgage rates decline to historically low levels. The Fed’s MBS purchases will eventually end, however, and this week’s Fed comments raised investor concerns that this will take place sooner than previously expected. On Wednesday, Bernanke acknowledged that there is a chance that the Fed could begin to taper its MBS purchases at one of its “next few meetings”, based on economic conditions. So the overall feeling that the economy is continuing to recovery is good news, but with this improvement will come higher interest rates. 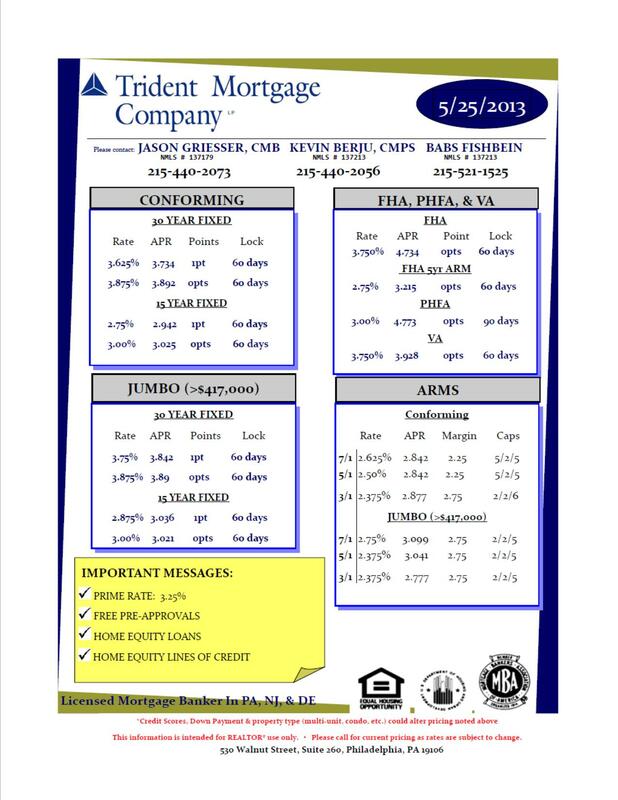 While this is about as high as we’ve seen in about a year this still reflects historically low mortgage rates. I hope everyone enjoyed their Memorial Day weekend. 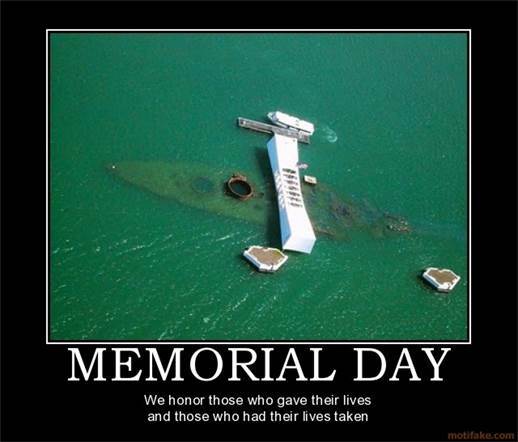 Above is a striking picture of Pearl Harbor as we remembered all our heroic men & women who have served in our Armed Forces this past weekend. ← LOTS and Fixer uppers in Center City Philadelphia, Northern Libs, Fishtown and other ares- NOT IN THE MLS ! !